The end of summer means the end of tomato season. But we don’t let that stop us! We’re talking home-grown, heirloom and vine ripe, not those tasteless Franken-matoes that you can get year round. Here at the Institute we once again have Saving the Season author Kevin West as our tour guide to discovering how to preserve, transform and enjoy the bounty of Southern California’s tomato harvest. This full-day, hands-on workshop held at the Institute headquarters on the grounds of the historic Zane Grey Estate in Altadena, will prepare you to “put up” summer’s bounty. From drying and canning, to pasta making and powdering, we’ll set you on your way to preserving the late summer’ness of real tomatoes until next year! Each participant will be sent home with their very own swag bag filled with the creations they’ve made throughout the day and a custom instruction manual with recipes and a resource guide. Rafflecopter is the easiest way to create & manage online giveaways on the web. Set up & launch a giveaway in 3 minutes! Tweets by Sprocket the Rafflecopter. Re-connect to your images, no matter where they’re published on the web. 1. Connect images to Stipple. 2. Add your information & stories to those images. 4. Promote & share images across the web. RapidProtect– A best app to track your family, friends and business members with lots of advanced collaboration features. App is available at https://rapidprotect.net/. Application is developed by Rapidsoftsystems (www.rapidsoftsystems.com) Company has involved in several big projects and having long history in delivery of successful Mobile apps for all platforms. We are super excited for the TZ Tech Crawl and just wanted to give you a few reminders. Swing by Coloft to pickup your name tags. We will begin promptly at 6pm, be there early to pickup your name tags and to checkout some of the awesome companies showing off at Coloft. TZ Tech Crawl Map & Directions! Glossi is going to offer a $250 gift cert to iTunes as a raffle prize. To enter, attendees who tweet #getglossi @glossi the night of July 26th will be entered to win. They’ll also let people enter again for shooting on their nerf range. And a third for dropping off your resume that night. Goodreads will have fun trivia for all the crawlers, giving them a chance to win some awesome literature! Print and bring this coupon into stores for a free smoothie when you buy one! Want coupons to share with friends? Try this 4-coupon pdf here. Pasadena, CA, July 25, 2012 – The second 626 Night Market is just around the corner. It will take place this Saturday, July 28th at Pasadena City Hall (100 N. Garfield) from 4PM to 11:30PM. Admission is free to the public. The beefed up 626 Night Market team has been busy organizing a larger event at a much more spacious venue. The second iteration attempts to once again recreate the Asian night market experience with a bit of Los Angeles culture. There will be approximately 90 pan Asian food vendors and 170 total vendor booths. For good measure, some Los Angeles food trucks will be thrown in the mix. The Pasadena City Hall, Centennial Square venue is four times larger with an area of 200,000 square feet across six blocks. To accommodate attendees, public and private parking lots usually closed on Saturdays will be opened. There will be over 10,000 parking spaces available in the nearby vicinity including the Parsons Lot and Kaiser Public Affairs structure. Prepaid parking is also available online through the event website. The 626 Night Market organizers have worked closely with the city of Pasadena to make this event as enjoyable as possible for people of all ages and backgrounds. How can small businesses rein in their credit card debt and live debt free? When you set up a new business organization, you usually fall short of cash and this is the reason that most business owners use their credit cards while making the vital and necessary purchases. As they start whipping their plastics for more purchases than what they can afford, they start incurring high interest debt for which they tarnish their business as well as their personal financial records. If you’re someone who has incurred a huge amount of commercial credit card debt, you need not worry as there are credit card consolidation ways in which you can reduce the debt level. Check out some such ways. The first option that a business owner shouldopt for is to get help from a credit counseling agency. The credit counseling agencies are more like teaching organizations that can help a debtor assess his finances and take some simple financial moves on your own. The credit counselor will determine your present financial state; check the amount of revenue that is being earned and the debt that you owe. He will craft a frugal budget for you so that you can follow it and also manage your personal finances to get out of debt. When they see that you can’t handle your debts on your own, they will enroll you in a DMP or a debt management program so that you can repay your debts in easy and affordable monthly payments and lower interest rates. You can even take out a commercial debt consolidation loan and combine your multiple credit card payments into a single monthly payment. Just make sure that the interest rate on the debt consolidation loan is low enough so that you can actually end up saving a huge amount in the long run. Instead of making multiple payments, you can just make a single monthly payment towards the debt consolidation loan. Therefore, when you’re wondering about the ways in which you can get out of business credit card debt, you should choose any of the above mentioned options that suit your present needs and affordability. Announcing Cielo Verde, Playa‘s new vertical rooftop garden! Having researched the most advanced methods for small-space, sustainable urban propagation, Chef John Sedlar and Partner Bill Chait decided to create an aeroponic system based on 35 compact, drip-irrigated towers and situate it on the restaurant’s rooftop for a new kind of “rooftop-to-plate” experience. Harvesting unique and rare edibles, the garden features wild arugula, pac choi, Tuscan black kale, Great White tomatoes, Black Cherry tomatoes, Peaches and Cream corn, Manar cucumbers, Padrón peppers, borage flowers, Swiss chard, and fresh black garbanzos, among others. Chef de Cuisine Kevin Luzande and the entire Playa kitchen brigade join Chef Sedlar on a daily basis in tending to Cielo Verde. Music: “Celeste” by Les Enfants. Come for the feast, stay for the fun is our motto. The Port of Los Angeles Lobster Festival is Southern Californias best entertainment and dining bargain. The Worlds Largest Lobster Festival, winner of the Guinness World Record for Most Seafood Served at an Outdoor Event, is a celebration of discount lobster meals, family fun, great art and rising young musical stars. Located on the waters edge, the Lobster Festival features a children’s Lobster Calling Contest on Friday, A LobsterDog Pet Parade on Saturday and pirates and street performers all weekend. Over seventeen tons of fresh cooked Maine lobsters are served in addition to shrimp, ribs, chicken with beer and wine. There are rides and games, arts and crafts all in a romantic waterfront setting. Live entertainment includes top new blues, rock and roll and other music acts. Theres a delight around every corner and a surprise down every aisle as the best street performers in Southern California showcase their talents throughout the five acre festival grounds. At the south end of the 110 Harbor Freeway, Harbor Blvd exit, turn right and follow the signs to festival parking. $9.00 adults Kids under 12 free, parking is free. Discount admission coupons online. Google has updated the already impressive calculator functions with a full featured calculator. Available on mobile and desktops. The best way to experience the full feature is to use the full site. The company’s core focus has always been superior customer service: they offer a proprietary global network and highly experienced staff to support “The Superb Standard™: Your Service Never Stops.” Superb Internet staffs its own fully redundant data centers 24x7x365 in McLean, VA; Springfield, VA; Seattle, WA; and its new headquarters in Honolulu, HI. Shared Hosting Special: Free setup & 2nd month free. Promo code 7395. 6 Months FREE when you purchase the one year Web Hosting Plan! Use code 7452 at checkout. Savings & Coupons on Glee Gum! We love to share savings on great products. Exclusive 15% sale, now through July 31st, 2012! Save 15% off everything in the newly redesigned GleeGum.com webstore. Enter the discount code FRIENDS in the upper left corner of the Order page before shopping. Free, printable coupons for Glee Gum at CommonKindness.com. A percentage of each coupon redeemed goes to the non-profit of your choice. Mountain Lion upgrades will be free to Mac users who purchased a Mac on or after June 11, 2012. You can visit Apple’s website for the upgrade. Others will pay $19.99 in the App Store. Tensions in Anaheim continue to run high as the community responds to police actions during a clash with residents and what witnesses claim to be an unprovoked shootings at individuals. The shooting of Manuel Diaz has led to four nights of protests with as many as 500 people congregating to protest. There are elements that are just trying to break in and rob merchants a video taken shows looters stealing shirts and hats. In addition glass at a Starbucks and a CVS store were shattered as looters broke in and stole items. From time to time we all need to transfer money from one place to another. It might be as payment for a service or product, to pay off the monthly credit card bills, or merely to make our accounts balance so that you don’t go into the red. It’s usually pretty simple; merely pop into the bank, ring the 24/7 phone service or with the constant developments on the internet there is even the option to opt for online banking…..but what do you do if you need to make international transfers in a variety of different currencies? 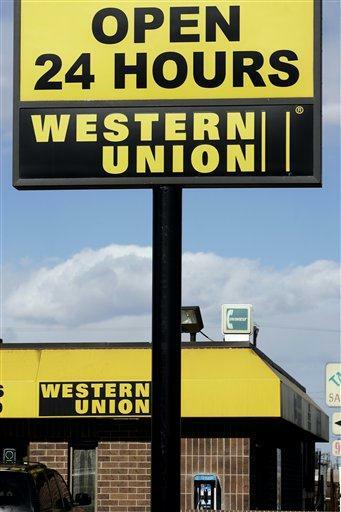 Western Union can help you with that and have been providing an innovative solution to just such a problem for over 150 years. Now they enjoy a global financial network, access to over 140 currencies and a world-class service that can help clients operate across borders and currencies in fast, reliable and convenient ways. It really couldn’t be simpler! With a host of options to suit the individual, whatever the circumstance, Western Union could be your saving grace whatever the reason for transfering money. I know we always get given the ‘are you sure you want to proceed’ option when we decide to delete a computer file, programme, application, or emptry the trash bin, but I can’t count the number of times I have clicked ‘ok’ and then regretted the decision in subsequent weeks and months. I know from watching CSI that it is possible to recover lost information and that nothing is ever really lost, but I wouldn’t have a clue where to start looking, even if I did have the technology to look in the first place. Clever Files have now come to the market with a simple, affordable way to provide that ‘third chance’ to anyone that deleted in haste and now greatly regrets it. Their Disk Drill programme has been created to provide unique recovery vault technology for Macintosh to help you prevent data loss. This incredibly useful programme is available as a download, or as a purchasable product and depending on the features that you need and the purpose of the application, prices vary from FREE, to $299.00. Whether you’re a frustrated individual, or a company looking to safeguard itself in the future; Clever Files Disk Drill could very well be the solution for you. Whether you’re a busy parent desperately trying to balance the household needs with the needs of your children, the stretched professional with barely enough time to get home from the office and flop into bed before the next day comes around, or you just have better things to do with your time, home shopping is a fantastic solution to take the hassle out of shopping for the essentials. With the rapid expansion of the internet and its endless possibilities, remote online shopping and delivery not only became a possibility, but actually became a possitive benefit for all manner of people. No longer do you have to fight your way through the busy store, angry and frustrated…..now you can get everything you need from the comfort of your own home. mygofer.com is a prime example of how this possibility has been developed and refined into a truly twenty-first century solution. Goods are easily found in a number of different categories including; Food & Grocery, Prescriptions, Health & Wellness, Beauty, Baby & Nursery, Pet food & Supplies, as well as Other Departments and you simply drop them into your personal list (online shopping cart) ready for the checkout. You can personalise your account details, receive cash bonuses by refering a friend, connect via your mobile and even connect with mygofer.com via Facebook, Twitter or YouTube! Wherever you are in the country, simply enter your zipcode and mygofer.com will do the rest. The technology is here…..use it and make your life that little bit simpler!